Capt. Dan and the crew of Classic Boat Rides are having their very first annual open house. They will offer FREE 45 minute Harbor / Bay tours this Sunday June 1st. 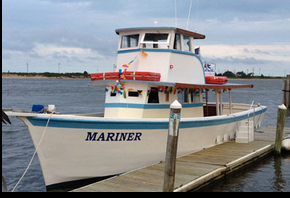 The MARINER will depart at the top of each hour. First come first served. Reservations not required. Call Capt. Dan for more info 732-337-9292. Sailing from Atlantic Highlands Harbor. Franks Pier.